Steam valves are one of the most important elements in the production, distribution and use of steam. Why is the safety valve of steam so important for the safety of the steam? Excess pressure and expanding steam can cause damage to the boiler. In order to prevent such situations, a safety valve for steam, which serves to release excessively high pressure, is used. Steam safety valves protect steam systems and overpressure vessels. If the steam safety valve is set to open at 10 bar, it will open exactly at 10 bar and will remain open until the pressure drops to about 4-5% below the set pressure. 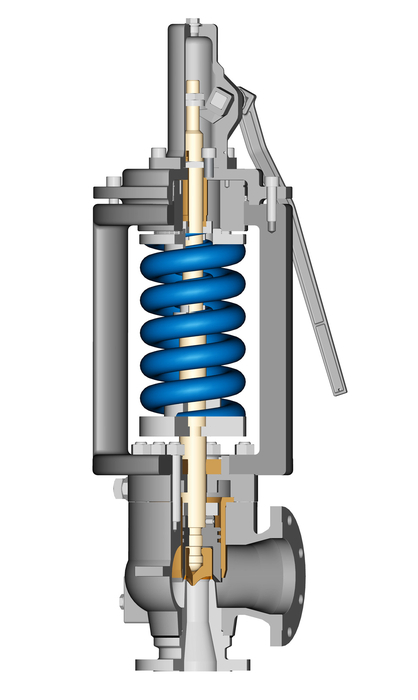 Safety valves emit neutral gas and steam in case of overpressure. As soon as normal working conditions are restored, they close and do not release more steam. Since steam valves are often the last link in the safety chain, it is essential that they remain in service in all cases. Boilers, steam generators and all types of pressure vessels and high-pressure steam storage necessitate the installation of safety valves / safety valves. 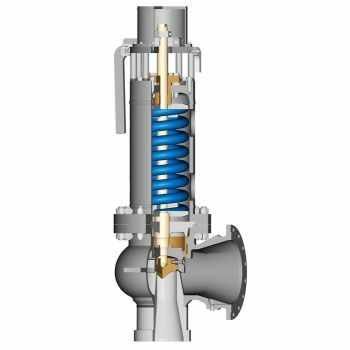 At even higher pressure, at least two steam relief valves are installed to protect them in case of failure or defect of any of them. High-Pressure Steam Safety Valve Si 6106 Si 6106 can be used with hihh pressure steam up to maximum 160 bar. The safety valve for steam under high pressure can be delivered in flanged version or in welding ends version at the inlet. Weld ends are mainly used for applications with high pressure and high temperatures. Si 61..